Starstruck, in a SueNami Kind of Way! The Island Batik Ambassador’s challenge for September is “Starstruck”. We must incorporate “stars” into our project. 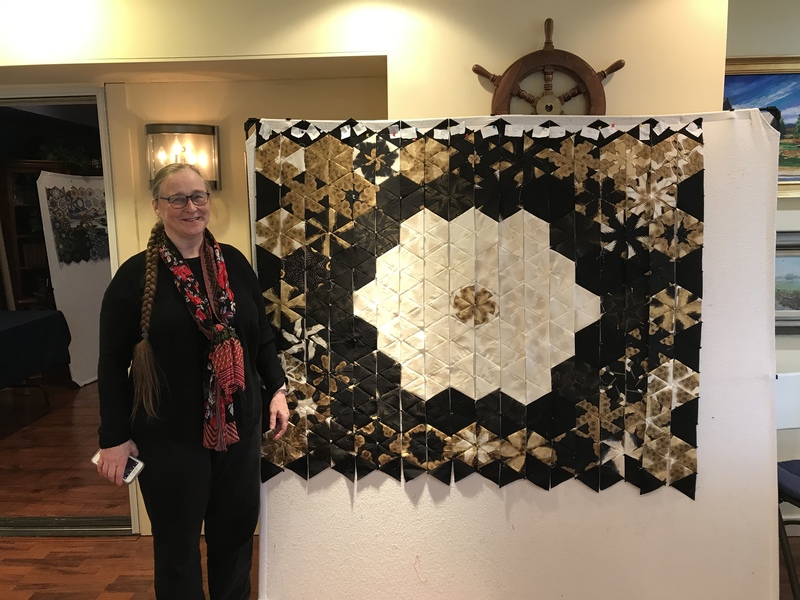 I chose the Hunter Star block and Sue Tuckers award winning quilt pattern “SueNami“. 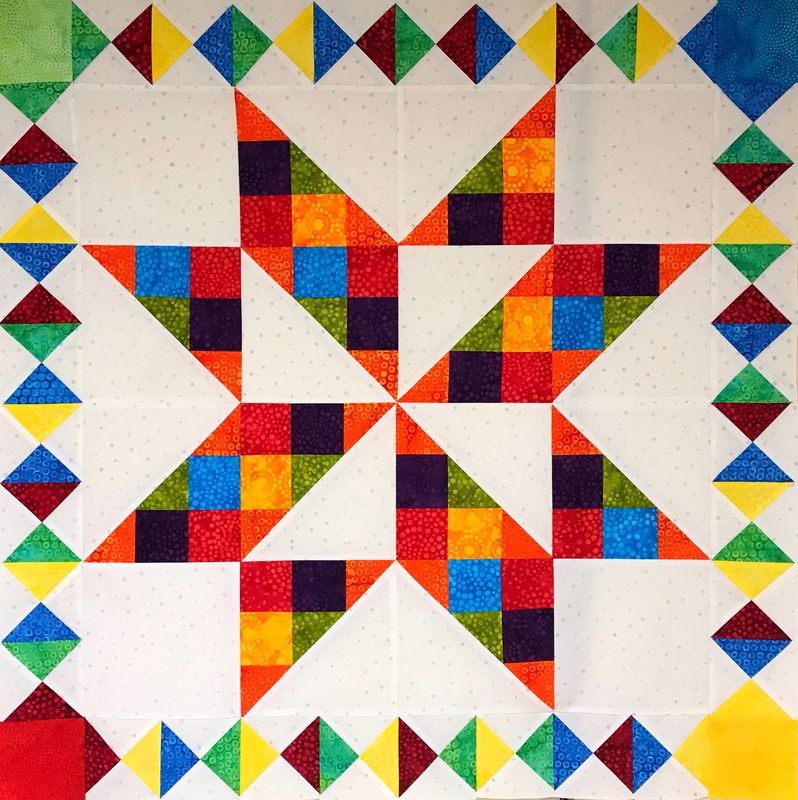 This really fun quilt was made with 5” blocks using Deb Tucker’s Rapid Fire Hunter Star Petite tool and measures 68″ x 68″. 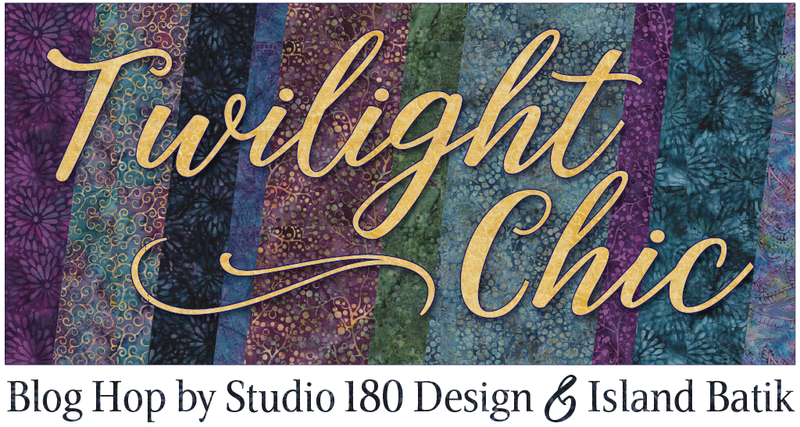 This fat quarter friendly quilt requires 8 dark & 8 light fat quarters. I used yardage for light background instead of fat quarters. Of course, all my fabrics are from Island Batik. Every hunter star block consists of 2 trapezoids, 2 triangles, 4 star points. I made 64 blocks – 32 blocks with dark trapezoids and triangles & 32 blocks with light trapezoids and triangles. The first layout is with un-trimmed triangles. Take care when laying out the triangles that when ever dark star points come together that none are the same so when the stars are formed, every star point is a different color. 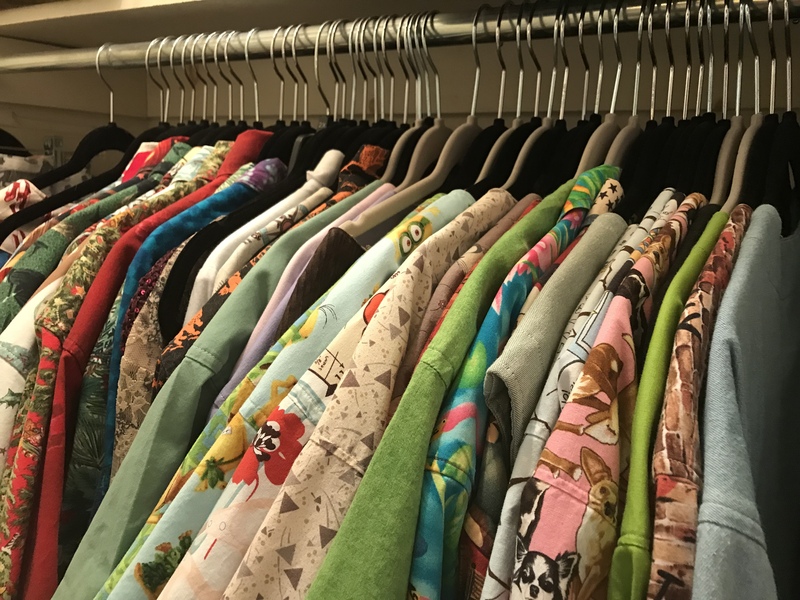 Having a design wall is very helpful. Once you are satisfied with the balance of color, stitch blocks together, press seam open and trim using your Hunter Star tool. Full instructions are included with the pattern & hunter star tool. Once your blocks are trimmed, stitch them together into rows. 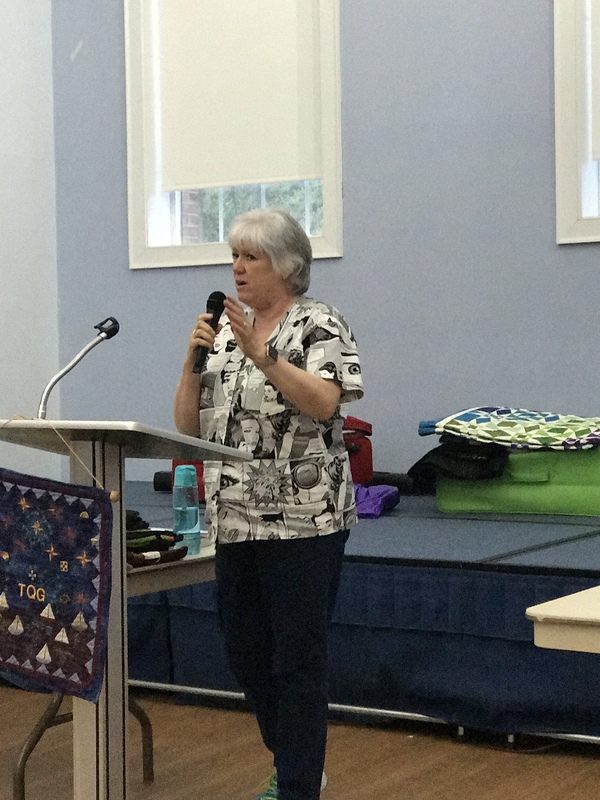 Join the rows together to complete the quilt center. The inner border was made with flying geese using Deb Tucker’s Wing Clipper I tool. A flying goose with a large light triangle always follows a flying goose with a large dark triangle. This fools the eye into seeing chevrons. Stitch the geese into pairs, you will then have 8 chevrons from each color fabric. Divide the chevrons into four piles containing 2 chevrons from each color. Decide how you want the colors of your geese to flow, and organize each pile of 16 chevrons, we will use 15 per side. Each strip of stitched chevrons will end up in the same order, with 4 chevrons left over. The pattern calls for quarter Square triangles as the cornerstones. I decided to use four patches, (there’s a story there). 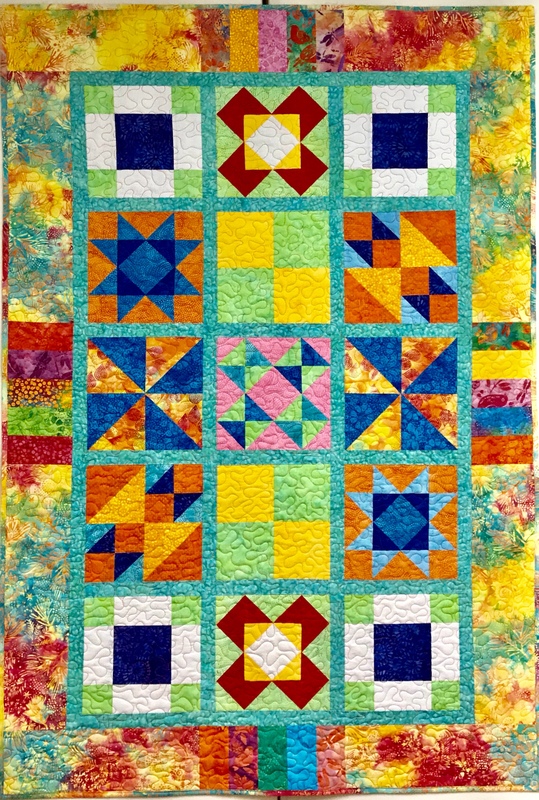 Using Deb Tucker’s Four Patch Square Up tool for the four patches is so quick and easy. This quilt comes alive with color because of the Island Batik fabrics I used. 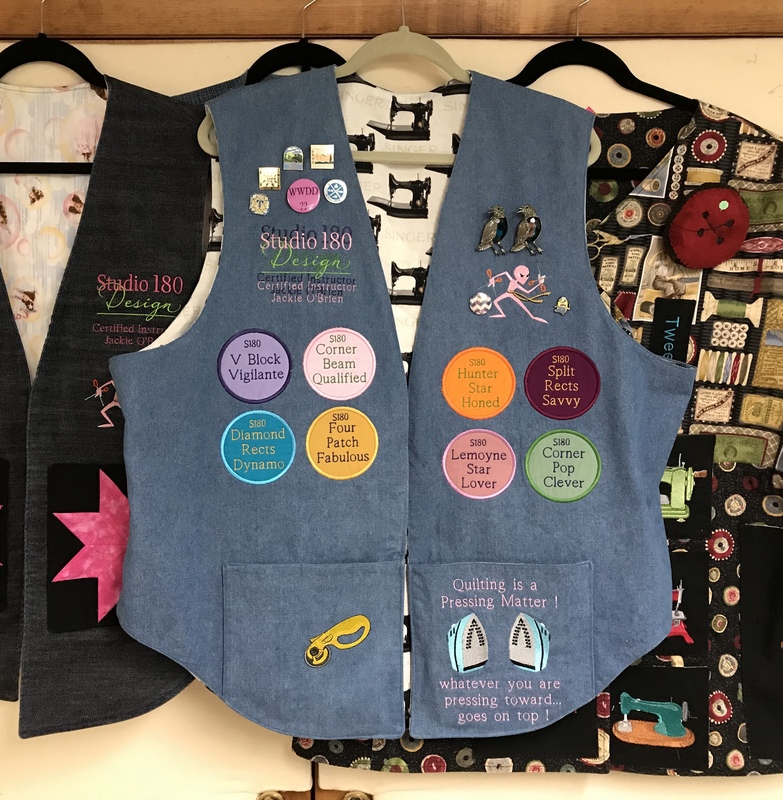 This entry was posted in Four Patch Square Up, Hunter Star Petite Tool, Island Batik Ambassador, Studio 180 Design, Wing Clipper 1 and tagged Deb Tucker, Hunter Star Petite, Island Batik, Island Batik Ambassador, quilting, Quilts, Studio 180 Design, SueNami, Wing Clipper I on September 6, 2018 by ifthesethreadscouldtalk. Oops, I mean what’s black & white RED all over…why my quilt of course. Deb Tucker released “Hidden Treasures in 2015. This fabulous book gives you the opportunity to learn to make Hunter Star quilts like you’ve never seen them before. There are 36 different patterns in this book. 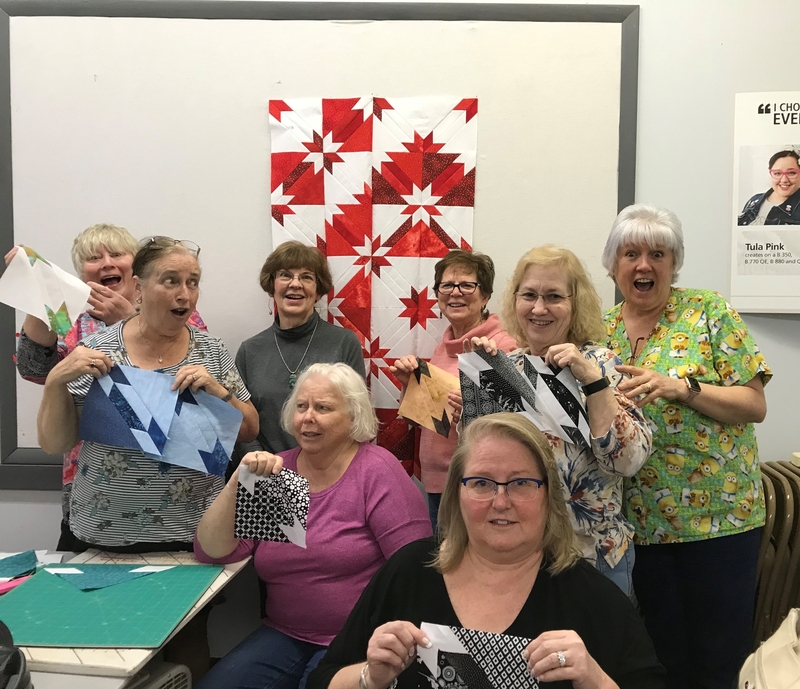 29 of them make a throw size quilt that requires 8 light and 8 dark fat quarters plus fabric for your inner & outer borders and there are 7 bed runner patterns. I chose to make one made by Sue Tucker called Painted Desert. 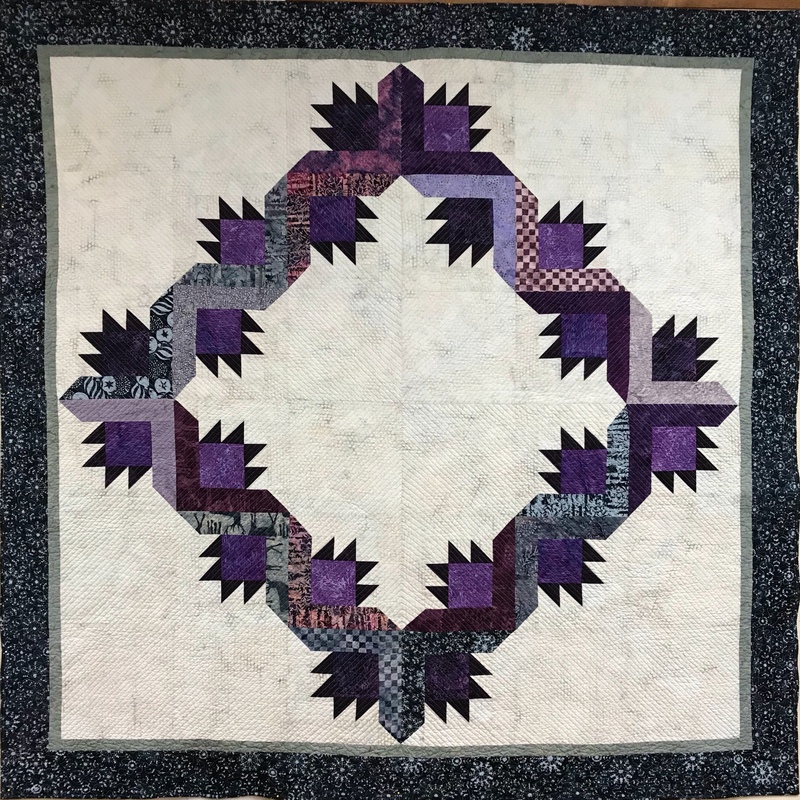 You will not believe the variations of Hunter Star that you can make by not sewing together the two triangles that make up the block. When you take those triangles to the design wall you’ll be amazed at what you can create, and this book shows you how! Tuck always has to get in the picture. 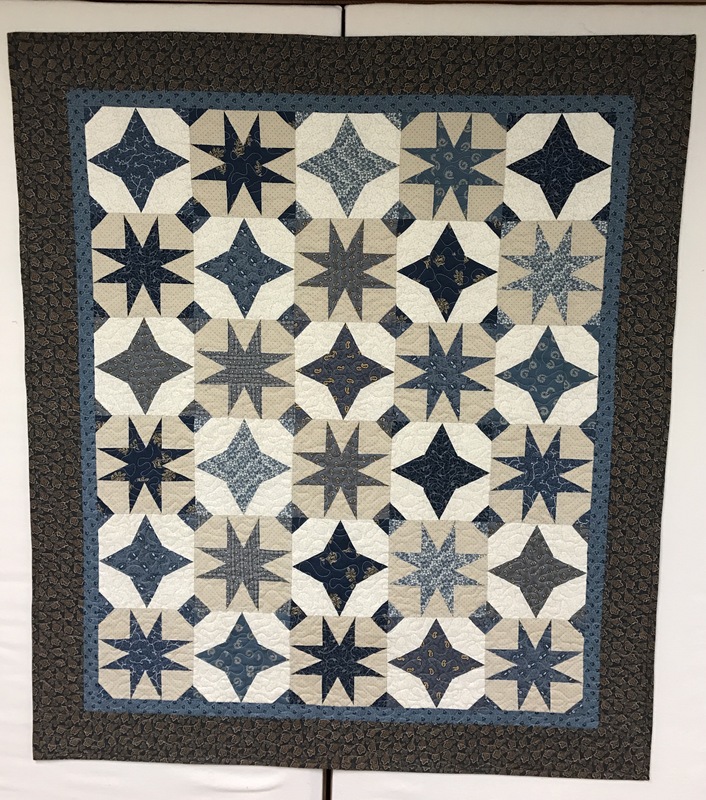 Hidden Treasures makes throw size quilts using the Rapid Fire Hunter Star Petite Tool by Deb Tucker. 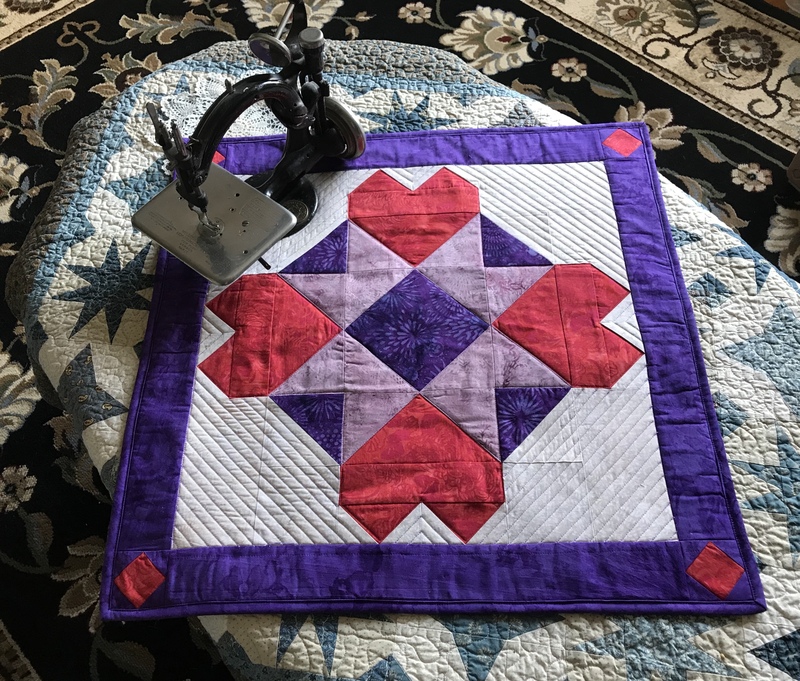 Deb is currently working on her second Hunter Star book “Royal Treasures” that uses the Rapid Fire Hunter Star Large tool and will feature Queen & King size quilts. I am fortunate to have one my quilts in that book. 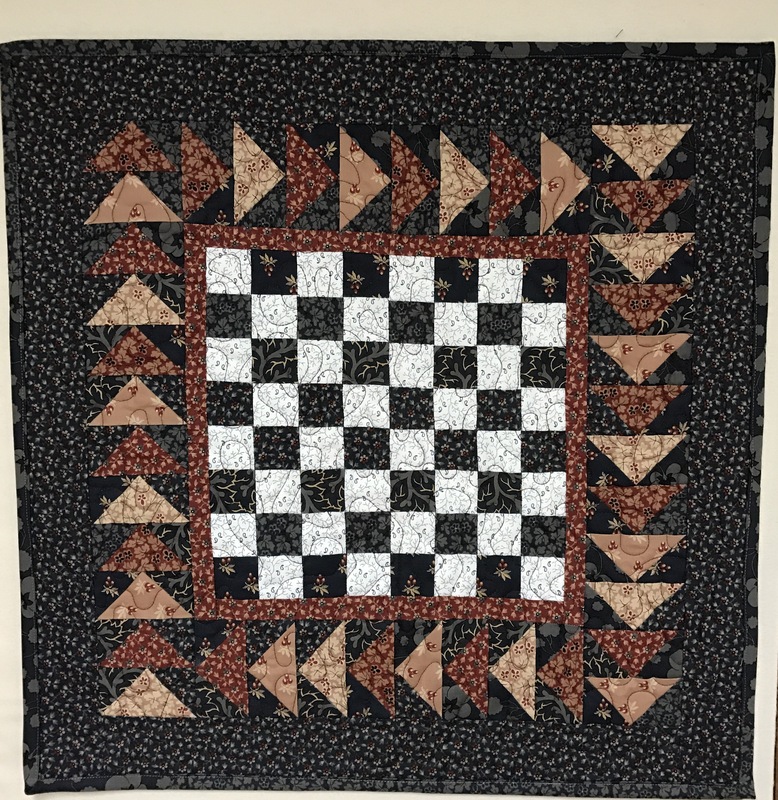 This entry was posted in Hidden Treasures, Hunter Star, Hunter Star Petite Tool and tagged Deb Tucker, quilting, Quilts, Rapid Fire Hunter Star Petite Tool, Studio 180 Design on September 22, 2016 by ifthesethreadscouldtalk.